smile, originally uploaded by jahansell. ... and the kids at school were happy! haha, that's a funny pic. So cute! 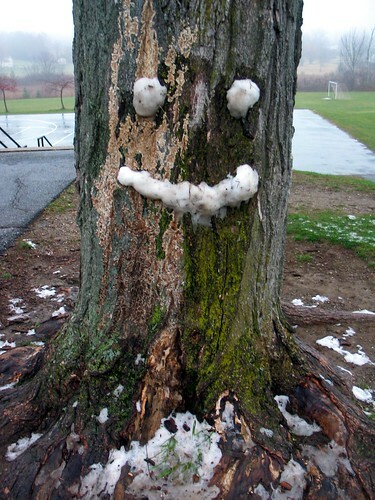 Not enough snow for a snowman I presume, so just focus on the most important part... the smile! Yeah, that's a fun image! Ah, the glory of childhood. That's great: and true! I swear the trees are happy when they are blanketed with the warmth of the snow. happy thanksgiving Jenny, hope you had a good day with your family!